← My Longest Run To Date! It’s common knowledge that I love fashion, whether it be clothes, shoes, accessories, I love shopping for it all! One thing I have always had a fetish for is handbags! I have bought that many since I was able to purchase my own things, that it would probably be close to over 100 bags that I have owned in my life so far! Big, small, clutch style, you name it I’ve probably bought it at one stage or another! Pre-children I mostly bought small to medium style handbags, just big enough to fit my purse, phone, keys and the other few odd bits and pieces us females like to carry around! Oh how life has changed! For the past 6 years I’ve hardly sported many of my ideal style handbags as a nappy bag has mostly been attached to my shoulder! With each child brought a new nappy bag (or should I say several with each child heheheh)! 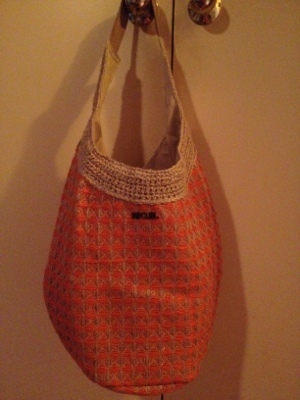 I’ve gone from backpacks, to traditional style nappy bags, to a large style handbag that fits everything I need! Most days I’m cool with not carrying a normal handbag around, but I still have the need to have a small one, especially when I go out on my own! 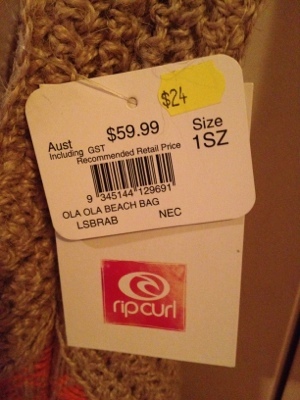 I recently purchased a nice sized one from Esprit at DFO for a bargain $27….reduced from $100!!! This is my handbag I take to work or anywhere else I go on my own! 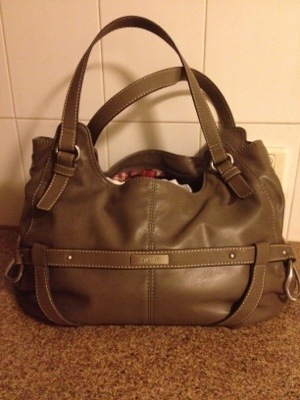 The last handbag I bought was my $20 Kelvin Klein bag I got in New York – oh how I miss shopping in the states!!! 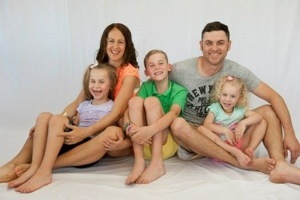 In reality, my life has come to a point where my nappy bag days are almost over (sob), but it’s still going to be some time when all I have to take out with me is my normal sized handbag when the kids and I are together! Between wipes, nappies, drink bottles and snacks, plus all the other essentials, it is definite that I need a big bag to carry it all! I’ve been looking for a nice stylish large bag for a while now that is big enough to fit what I need, but not the size of a suitcase (although sometimes tempting) and today I found one! I went out to look for a pair of togs and came home with a bag – as you do! The best thing it was $60 reduced to $24….score!!! I love my new big bag. It’s got loads of room, the colour goes perfect with so many of my clothes in my wardrobe and it’s made out of a cross between wool, hessian and straw (didn’t know how else I could explain it lol) which is different and I like different things! For now I will embrace my ‘BIG’ bag life as it means my babies are still very dependent on me and the day I won’t need to carry around what I do now, will be a very sad one!